MAC is a huge makeup company that sells a variety of makeup including their famous makeup setting spray, foundation and amazing collections they bring out. They also have a lipstick collection called viva glam that raises funds for the M.A.C aids fund by donating the price of the viva glam products minus vat. Lots of celebrities have backed the campaign including RuPaul, Miley Cyrus and most recently SIA. More info on the fund here. So you are probably wondering why am I posting about only 4 lipsticks... Well in my opinion if you love something it doesn't matter the size of the collection is the quality. I really do think the lipsticks have so many good points and I will explain some of them. 1. They have so many choices to choose from; not only that they bring out new collections every now and again too. 2. 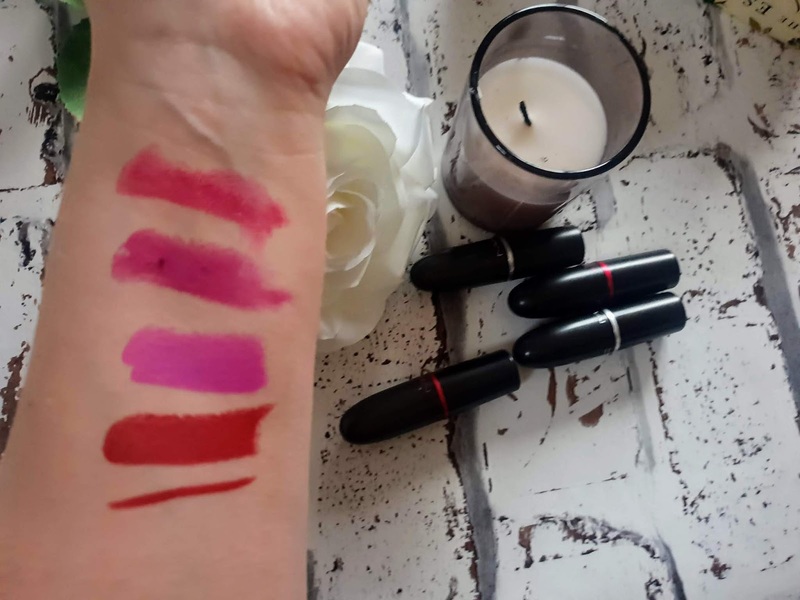 The lipstick tube is very good quality - Now you might think that is a small point but it feels like a good quality product and I love the way the lid clicks back on the lipstick tube. 3. It has a lovely delicate scent - They have a fresh vanilla scent to the lipsticks which is lovely and not overpowering at all. 4. Different product designs - They have the usual product designs but when they bring out new collections they have unique packaging; just like the snowball collection for Christmas 2017. 5. Different finishes- They have a variety of different finishes including; matte, retro matte, satin, lustre and amplified. This is an intense blue-red shade and it definitely has some retro vibes to it for sure. It is a matte finish but it is very easy to apply that it almost feels like a creamy lipstick. The red is very intense and is super pigmented. Russian red has to be my favourite red lipstick in my collection as its vibrant and its long lasting too. I reapply this lipstick every 3+ hours and it feels very soft and weightless on my lips. I don't use a lip liner with this and I have no problems with this lipstick bleeding. This is the second lipstick that Ariana Grande created with MAC. This lipstick came out back in 2016 but I found this in my local TK Maxx for a bargain price of £10. 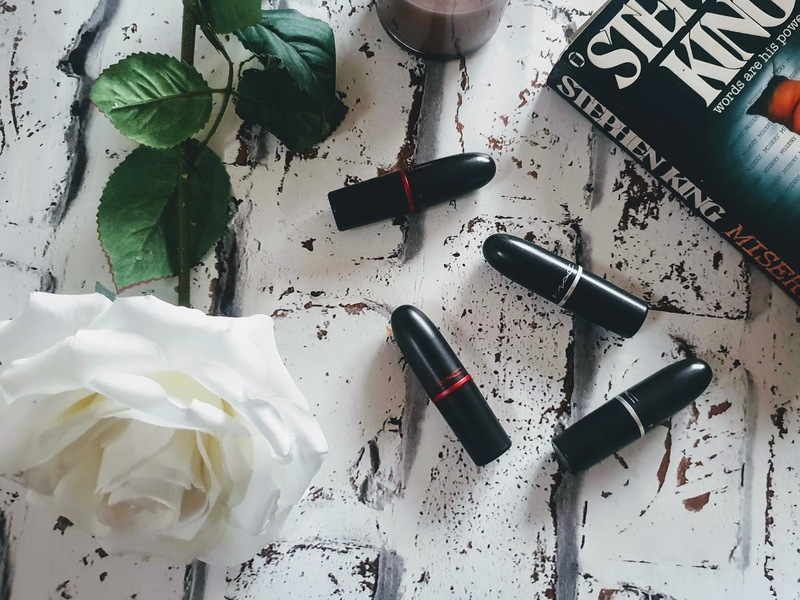 This lipstick is also a matte finish and just like Russian red it applies very creamy and feels soft and weightless on the lips. It is a vibrant pink/purple shade and honestly, I just fell in love with it as soon as I opened it and applied it for the first time. As with the above, this is also very pigmented and only needs reapplying every 3+ hours. This lipstick is in an amplified finish and is gorgeous hot pink shade. This lipstick was one first purchase from MAC and is one of the reasons I love MAC lipsticks so much now. This lipstick is very creamy and works wonderfully well with the matching lip glass. It has Miley signature embossed into the lipstick tube and the design is nice too. This is a lot softer than the other lipsticks so not a lot of pressure is needed with this for a pigmented look. This needs reapplied more than a matte lipstick but its still a lovely lipstick. The finish of this is retro matte and my goodness even though I do love the bright plum matte shade, it is extremely dry and not the easiest lipstick in the world to apply. I would definitely recommend putting on a lip balm before applying this. 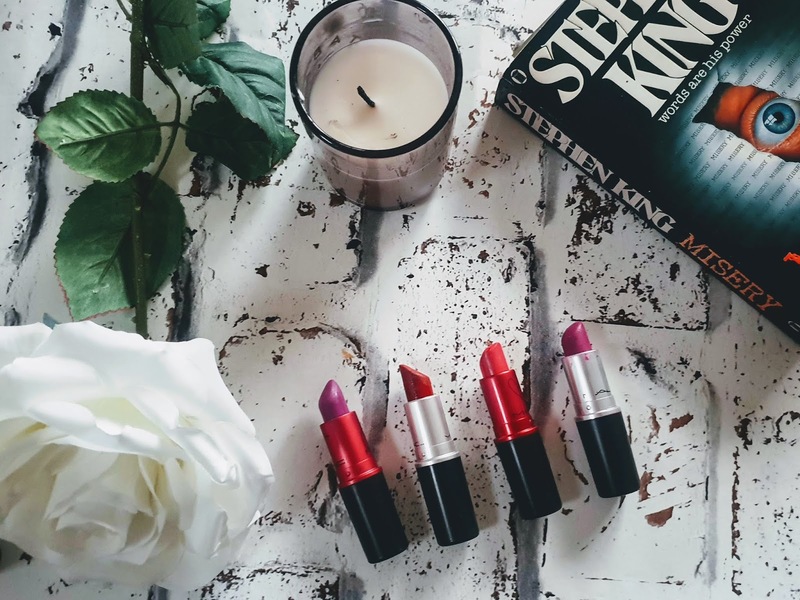 Even though is quite dry to apply it doesn't look dry on the lips and has a longer lasting finish compared to the other lipsticks and can last 5+ hours without the need to apply in that time. 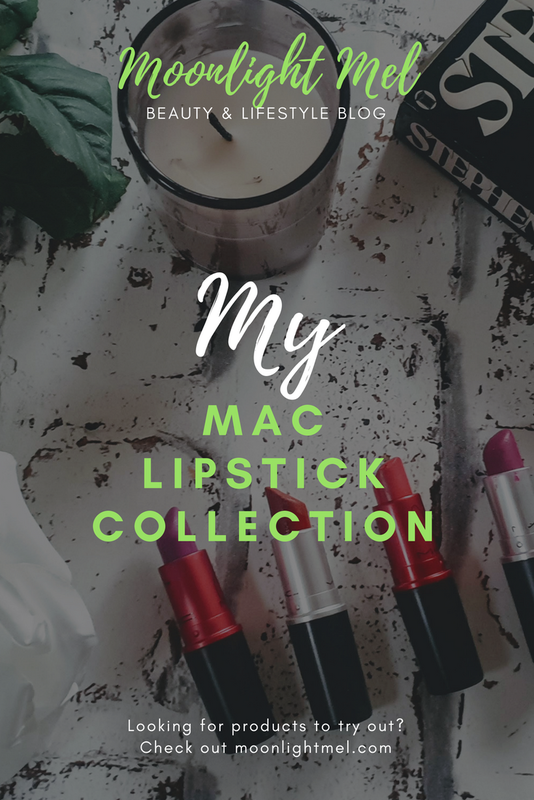 I hope you loved my lipstick collection and I am sure a few more will be added at a future date so keep a look out for an updated version of this post. If you have a MAC or any lipstick brand lipstick collection please send me a link to the post, I would love to see. 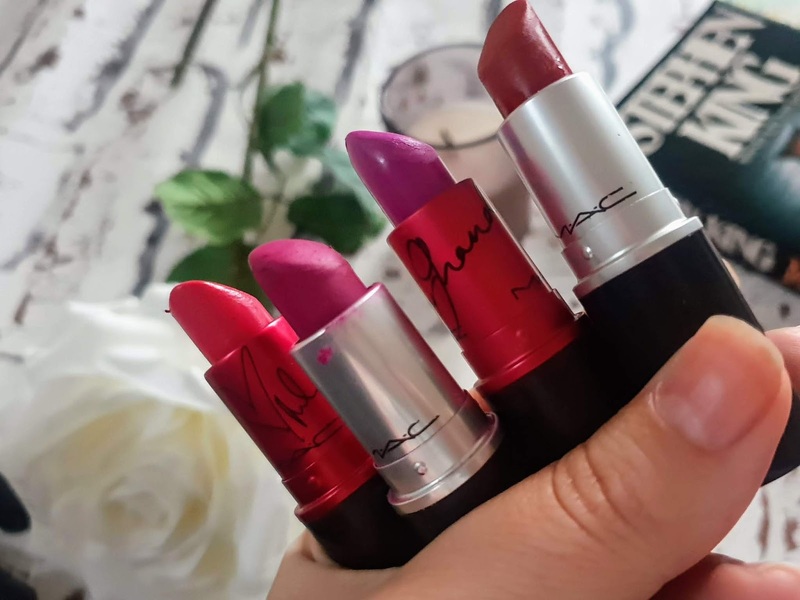 Do you have any MAC Lipsticks; if so which is your favourite?